Left, Samantha Johnston, maitre d' at Orchids at Palm Court; top, Ronda Breeden and Kayla Robison from Arnold's; bottom right, Emmy Friedrichs, general manager of The Mercer OTR. Editor's note: March 8 is International Women's Day, and the theme for 2019 is #BalanceforBetter, the aim of which is to create a gender-balanced world. When it comes to the restaurant business, the numbers aren't encouraging. Except, maybe, here in Cincinnati. 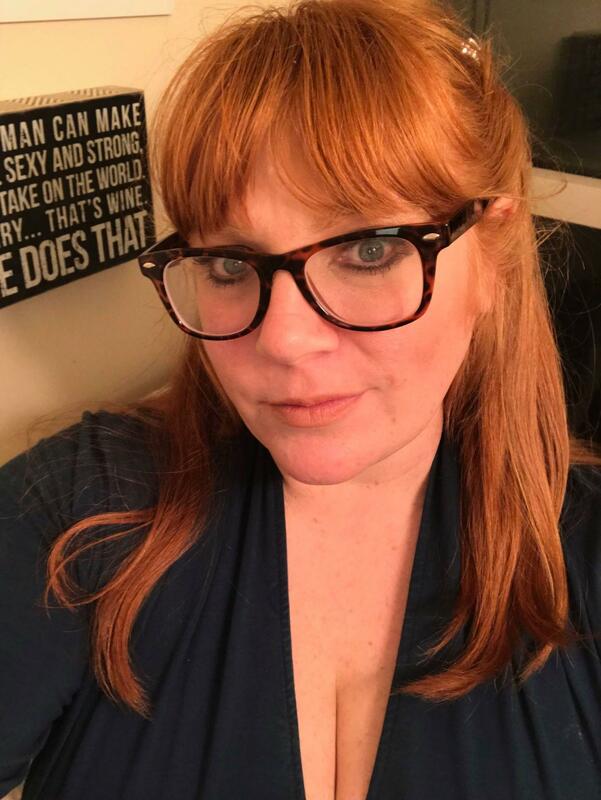 Below, WVXU food writer Julie Niesen gets to know a few of the local women breaking that mold, whether they mean to or not. Women are having a moment. Whether it's in national, state or local politics; in the arts (from grabbing awards for movies to best-selling books, record numbers of Grammys and more); or in business, women are grabbing headlines. And women are grabbing the reins in Cincinnati's restaurant community, too. Bits & Bites sat down with four women who are making strides running kitchens, owning restaurants, running restaurants, or as the only female maitre d in the region. Emmy Friedrichs, general manager of The Mercer OTR. Friedrichs, a Cincinnati native, became involved in the hospitality industry when she moved to Chicago with a boyfriend, after deciding against becoming a high school physics teacher. While in college, she battled attention deficit disorder and worked (unbeknownst to her parents) at the now-closed Cooker Bar and Grille chain. In Chicago, she spent time at the Mashed Potato Club and was recruited by Lettuce Entertain You, one of Chicago’s premiere restaurant groups. Eventually, she moved back to Cincinnati and managed medical and dental practices. According to Friedrichs, she "got tired of great benefits and just wanted to wait tables and rescue dogs," so she worked for John Zipperstein at Embers for a year, when Dan Stoltz and Jack Hemmer thought she'd be a good fit to manage The Mercer, which was just opening in Over-the-Rhine. "The first meeting was scary. Someone said, 'That would be a question for the GM' — and that was me!" Friedrichs says some customers and employees assume that she, as a woman, will be "easier" on them for certain things. "People expect more compromise from women," says Friedrichs. "The hard part is finding the balance between what is best for the business vs. what is good for employees." Friedrichs also sees many advantages to being a woman in leadership at a restaurant: "People are comfortable talking about the things they don't love about the experience without being confrontational." One such example, where a customer sent an email to complain about an over-salted dish (in fact, they had changed types of salt and needed to use less) led to a partnership with the Cincinnati College Preparatory Academy, where students are taught etiquette and their "final project" is dinner at The Mercer. When Friedrichs isn't at The Mercer, you can find her rescuing dogs, teaching herself Spanish, spending three hours every week with someone who is close to her but works opposite schedules, and eating charcuterie from The Rhined or Murray's Cheese. Samantha Johnston started out in the restaurant business at 16, as a busser at the Grand Finale in Glendale, where she worked until she was a freshman at the University of Cincinnati. After discovering that her philosophy major wasn't for her, she switched to culinary school at Midwest Culinary Institute, and then spent seven years at Chalk with chef Mark Bodenstein, and later his restaurant Nuvo at Greenup, where she served and tended bar, as well as acting as a food trainer at Nicholson's. 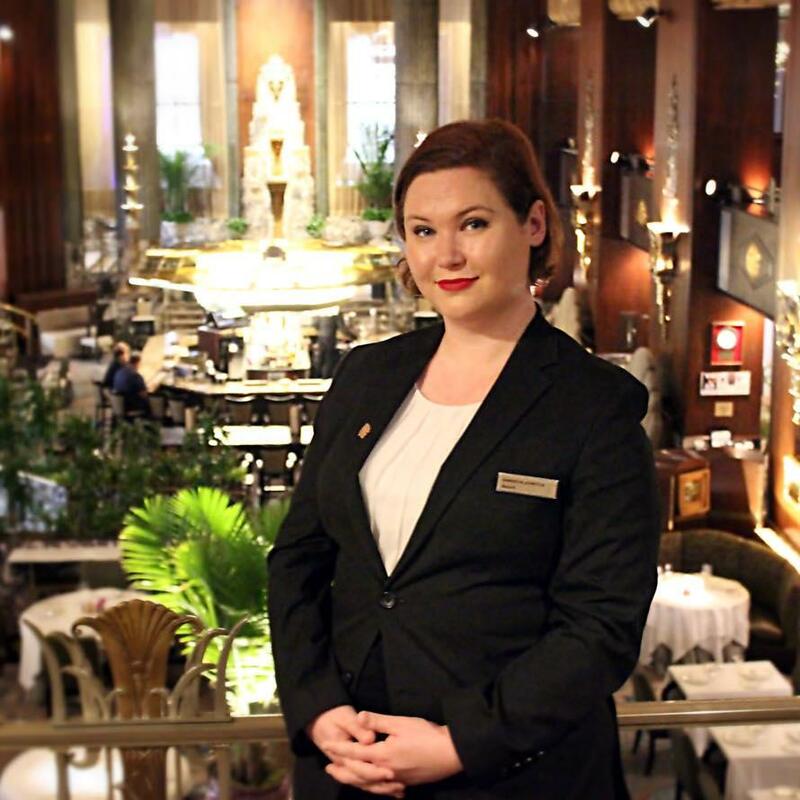 She soon discovered a love of wine (she recently completed her Level One sommelier in Las Vegas in May 2018), and has spent three years at Orchids at the Palm Court, where she worked her way up from server, to dining captain, to maitre d’ in March of last year. "The maitre d’ is an antiquaited role," says Johnston. "It's hospitality-driven. It's not a general manager, which is focused on production and numbers. Instead, it's focused on guest experience. I welcome them into our home." Johnston also orchestrates a service ballet, from making sure wines are matched to food, to the synchronized removal of domes at every course. This "antiquated role" is filled by a relatively young woman: "A maitre d’ in her late 20s is rare," she says. "It makes me work extra hard. You're going to get questions, and you have to go above the call of duty and do research to prove that you know what you're doing." Her age and gender may help break some stereotypes around fine dining, as well. "The misconception around fine dining is that there is rudeness," she says. "It isn't - it's people who love food, wine and perfection of service." To that note, Orchids is offering a $45 three-course meal, available Sundays through Thursdays. The three courses give the chefs the opportunity to play with local, seasonal ingredients and allows guests to have some fun, too. "We want guests to be able to experience fine dining without the expense — and why only do it during restaurant week?" She tries to build lifetime customers — from bar patrons to guests celebrating prom, to guests buying expensive, multi-course dinners, she aims to treat them all with respect and grace. Johnston acknowledges that she is lucky: 90 percent of the management team at Orchids is female, from payroll to catering, and the restaurant also features a pastry chef, executive sous chef and of course, maitre d', who are all female. "We are a strong group of ladies who support each other." After hours, Johnston considers herself a homebody who likes to make dinner with her partner David Beaver (a chef at Bar a Boeuf) and spend time with her cat, Mittens, and a glass of sauvignon blanc. 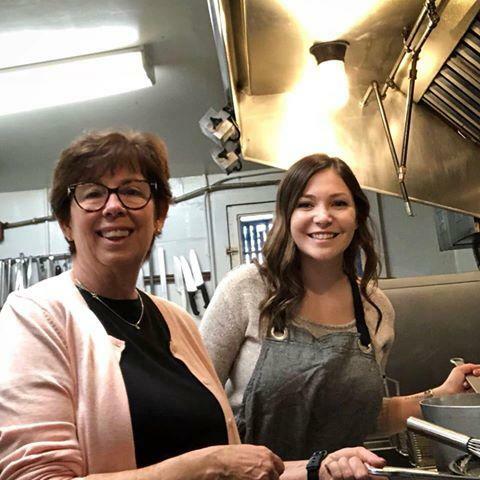 It's rare to have both the owner and the chef of a restaurant be women, but Cincinnati's oldest restaurant, Arnold's, is led by owner Ronda Breeden and chef Kayla Robison. Breeden has worked at Arnold's for 35 years; bought Arnold's with a partner in 1999 and then bought out the partner in 2002. She rode the ebb and flow of the industry over the past nearly 20 years — through the 2001 riots; the building of the Aronoff Center in 1995 (which led to the opening of 60 restaurants, many of which no longer exist); and into the early days of social media hype with tweetups (meetups of people who interact on Twitter) and Yelp, and now into a cozy, familiar space in the Cincinnati restaurant landscape. Breeden knew that Arnold's needed a change to keep up with other restaurants. "I needed to shoot some life into Arnold's," she says. "I made the chef position more lucrative, with full control of the kitchen." Enter Kayla Robison. The native of North Dakota, who has worked in kitchens since she was 14, was repeatedly told "Girls don't work in the kitchen." Later, someone gave her the opportunity to wash dishes and bus tables, which got her into the kitchen. She had her daughter young, but wanted to go to college, so she moved to Cincinnati and attended Midwest Culinary Institute, starting in pastry but also signing up for culinary. For most of her career, she has done pastry — notably at Wyoming Bakery, Moerlein Lager House and the now-closed Bilog in Wyoming — but soon became the first executive chef at Nation in Pendleton. After three years, she was looking for a change, and didn't know what to expect. After a three-hour interview (according to Breeden, these interviews are usually 15 minutes), Robison was hired. "It's nice to have someone who understands," says Robison (both she and Breeden are single mothers). "Ronda is a mentor to me. I've learned so much from her." In that time, Robison has changed the menu and added late-night service, but also kept old favorites (yes, you can still get your Greek spaghetti and giant meatballs — still Breeden's favorite after 35 years). Once a week, Robison runs specials based on what is seasonal, with no limits on her creativity. Her favorite? Matzoh ball ramen that was, according to Robison, "stupid amazing." Neither Robison or Breeden dwell on their gender. "It's a job that requires a lot," says Robison. "You have to balance a lot. I want people to come in because I serve good food, not because I'm a woman." Breeden has never applied for a woman's loan or a woman-specific award. "I want to support female-owned businesses, but I don't focus on my gender, but my ability." Breeden sums it up this way: "Arnold's is ready to evolve. [Robison and I] are able to do that together. I don't know where Kayla is going, but it's fun to watch." Working in the food and beverage industry isn’t easy - between the hours, the heat, the physicality and the demands of the public, there’s not a lot of time for self-care. In 2016, reports surfaced of women being drugged at bars near local universities. Meanwhile, another bar was getting negative attention on social media for hiring bartenders with a history of sexual assault. To Maria Cole and Kendra Massey, that meant it was time to take a nationwide program and bring it local.